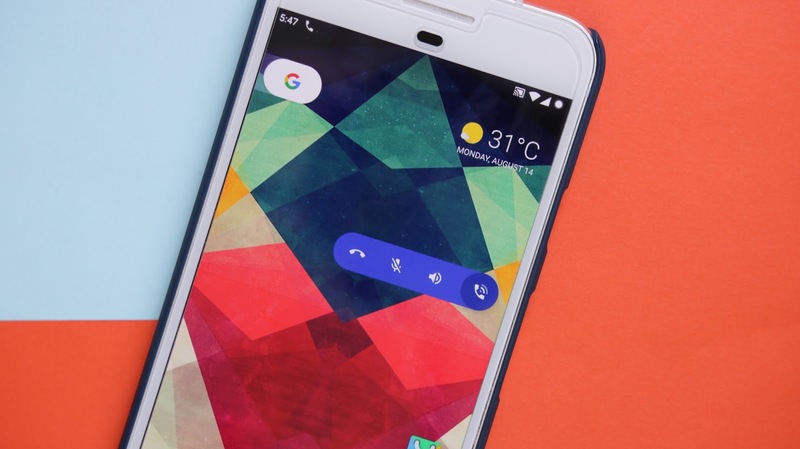 Google's Phone app has many features for devices like Pixel, Nexus, and Android One and recently folks at 9to5Google discovered a new feature in the app which makes much easier to manage your calls right from your home screen. Right now we don't know when this feature will be live for everyone but overall it is an amazing feature to have. So here is how it works, once your start the call with Google Phone, you can tap the home button and on the screen a blue circular phone icon will popup in the upper-left corner of your home screen . 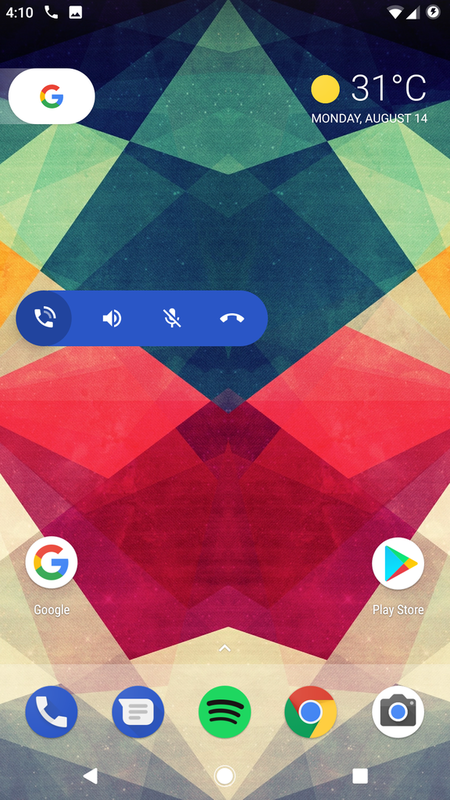 You can move this icon all around the border of your home screen, and tapping on it will reveal three actions for ending the call, muting your microphone, and enabling the loudspeaker. In addition to this, holding down on this bubble/icon will take you back to the the main call screen. We discovered this feature in version 11 of the Google Phone app, and it looks like it might be the most useful feature Google is testing as of late — much more so than having a cat paw show you how to answer an incoming call, for instance. This feature might come with Google Pixel 2 which is expected to be announced in October, we might see Google announce this and other new features to the Phone app then. Or, it could end up in the proverbial desktop trash can.